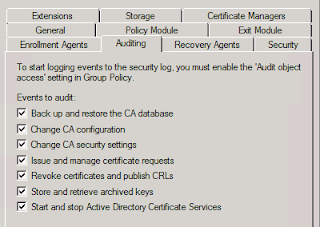 By default, the Auditing function is not enabled on the CA server. 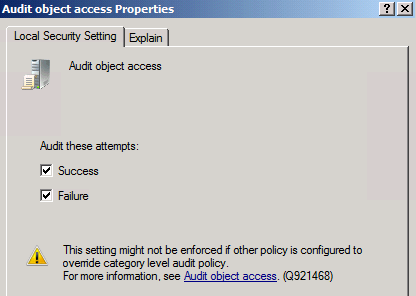 After the auditing is enabled, all the events will be logged in the "Security log". To enable the auditing, I need to modify the following settings. 1. On the CA server, log in as Administrator. 3. Right-click the name of the CA, select "Properties". 5. Check the events which you want to audit. 7. Launch "Local Group Policy Editor". 8. Expand "Computer Configuration > Windows Settings > Security Settings > Local Policies > Audit Policy". 9. 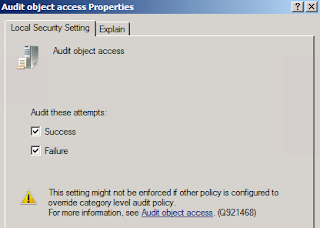 Double-click "Audit object access". 10. Check "Success" and "Failure". 12. Close "Local Group Policy Editor". Remark: If your CA server is a member server of the domain, you can configure the Domain Group Policy. 13. 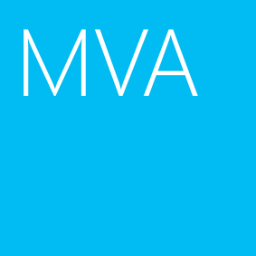 Restart "Active Directory Certificate Services". As a result, the auditing has been enabled on the CA server.